Android DJ Apps and Advanced Sound Apps are for the need of sound professionals and music enthusiasts. We have tested some of Android DJ Apps for our readers. Previously we have posted another related article named Best Android Music Player Apps. If you are looking for only casual music player, this post on Android DJ Apps will be a bit complicated topic, you can try those apps mentioned first and then can try these apps listed on our Android DJ Apps list. We must thank few sound professionals for pointing out some important things and helping us to write this article on Android DJ Apps and Advanced Sound Apps. We have later tested these Android DJ Apps and Advanced Sound Apps on our Android device with songs from various genres and used the custom settings as they had advised. The tablet on which our Android DJ Apps and Advanced Sound Apps are tested supports Mobile Dobly Music and we have tested using ear gear from Sennheiser. We have converted the test tracks for this Android DJ Apps and Advanced Sound Apps test as much of higher quality as possible to avoid any bias. Just copy or type any name from this list of Android DJ Apps and Advanced Sound Apps in Android Market Place search and download it. DJ Studio 3 : DJStudio is a powerful DJ application which enables you to scratch, loop or pitch your songs in the palm of your hand with your smartphone or your tablet. Droid DJ Lite : Full pitch enabled, cross fading, twin mixing visual decks, with MP3 support. Virtual DJ Turntable : DJ Turntable Emulator with accurate pitch / speed control. Pocket DJ Vintage FREE : Have some fun with this vintage 2 deck DJ turntable and mix your musics with your fingers! Electrum Drum Machine/Sampler : Electrum Drum Machine/Sampler. Pattern based music composition. Deep Scratch Free and Deep Scratch : Scratch on your phone like a DJ on a turntable. DJ Control : Wireless DJ MIDI controller for your favorite computer DJing application. Sound Forge 10 Course Video : Training video on how to use Sound Forge 10. Sound Meter : Professional sound level meter in your pocket. Hope you have liked some applications listed in our Android DJ Apps and Advanced Sound Apps list. 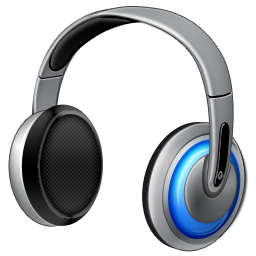 Cite this article as: Abhishek Ghosh, "Android DJ Apps and Advanced Sound Apps," in The Customize Windows, January 14, 2012, April 18, 2019, https://thecustomizewindows.com/2012/01/android-dj-apps-and-advanced-sound-apps/.